A bronze sculpture of a saddled Spanish conquistador brandishing a pointed spear stared at us as we alighted from our bus. We’ve just evaded the usual 10-hour land trip from Manila to Ilocos Norte, thanks to SEAIR’s newest flight route to Laoag City. But still, the weather outside was a real scorcher and we wanted a roof over our head. 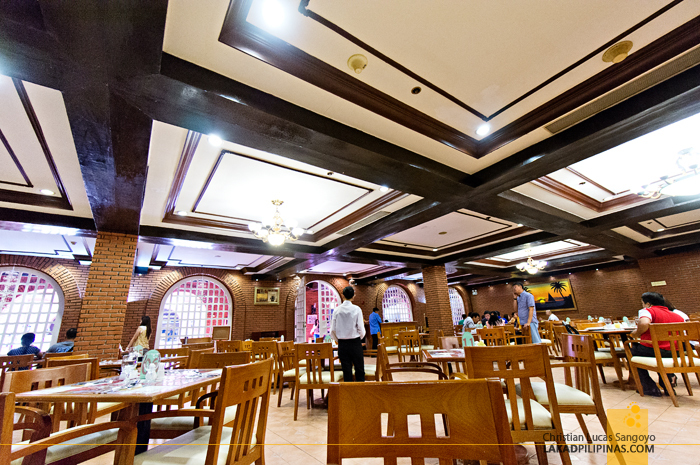 According to the books, Fort Ilocandia is the only five-star accommodation this side of the Philippines and I’m more than glad to accept their offered hospitality. 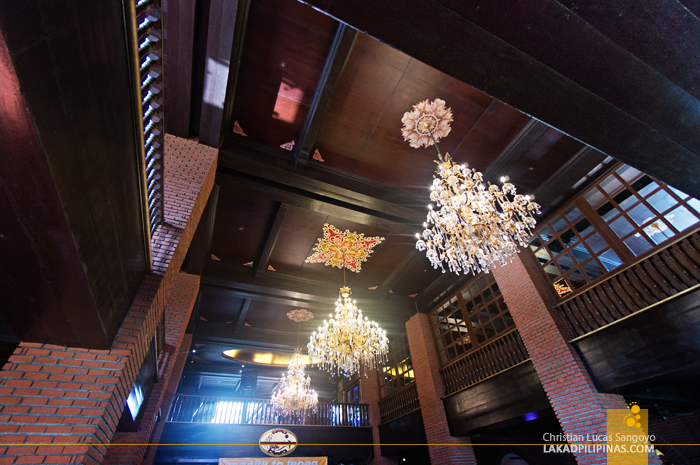 Grand crystal chandeliers illuminated the impressive interiors of the hotel lobby. 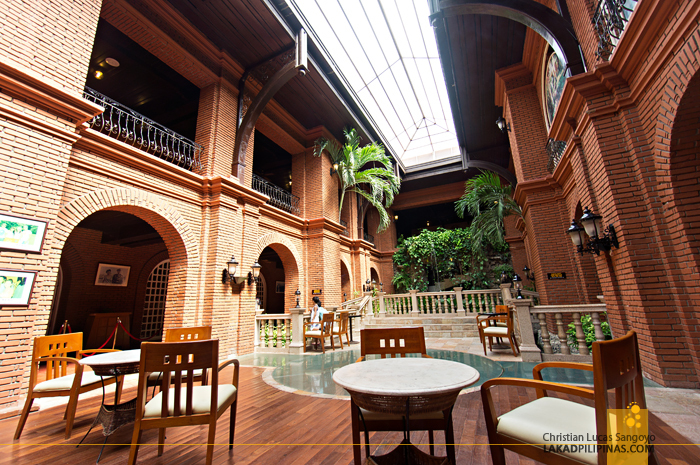 Framed by dark wood panels, carved balustrades and warm bricks, it exudes an aura of old luxurious turn-of-the century Spanish mansions that Ilocos is known for. Before we trooped to our rooms, a glass of cold lemonade was graciously given to us and along with it, the most excellent Ilocos empanada I’ve ever tasted. 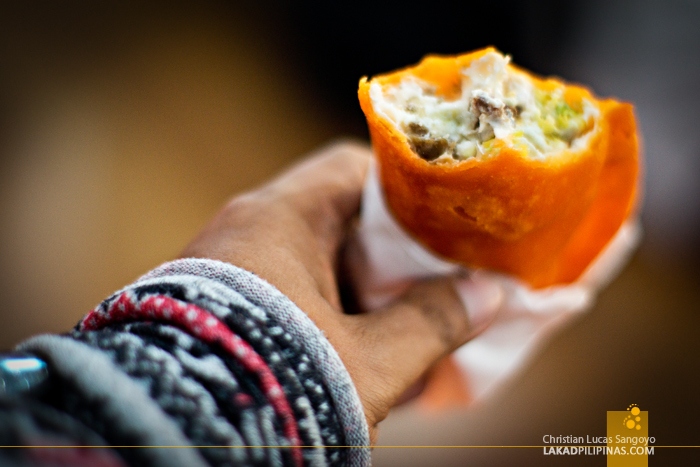 I’ve tried Batac’s famous empanadas before and Vigan’s too, but the ones made by Fort Ilocandia almost reached perfection. If only it was a tad hotter, I would have given it a perfect ten. But nine isn’t a bad score either. 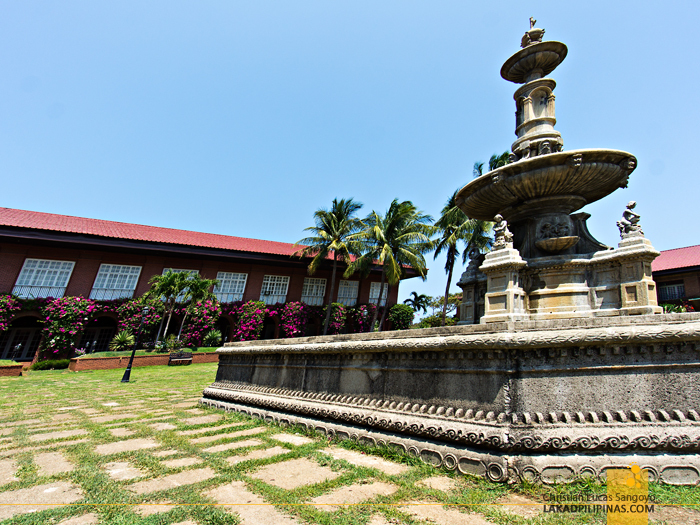 En route to our room, which was quite a walk--Fort Ilocandia is huge--we passed by its photographically famous central fountain. Too bad it wasn’t spouting anything then, we were told that the only time it is opened is during events and special occasions. Oh well. 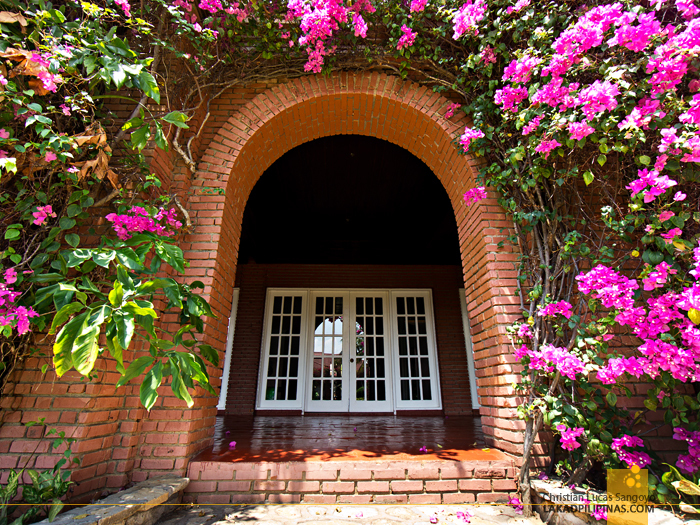 We forged on, passing arched brick portals and lush gardens. 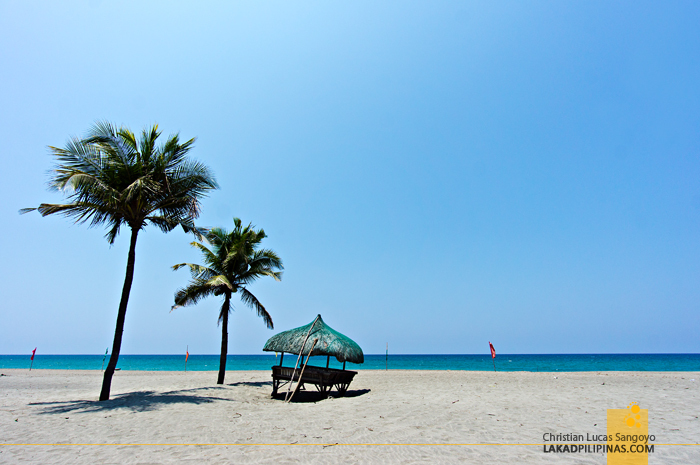 Besides its manicured lawns, the sprawling grounds of Fort Ilocandia include swimming pools (an Olympic-sized one and a kiddie pool), kart racing tracks, horse riding grounds and its very own sunny beach. I love the interiors of this hotel. 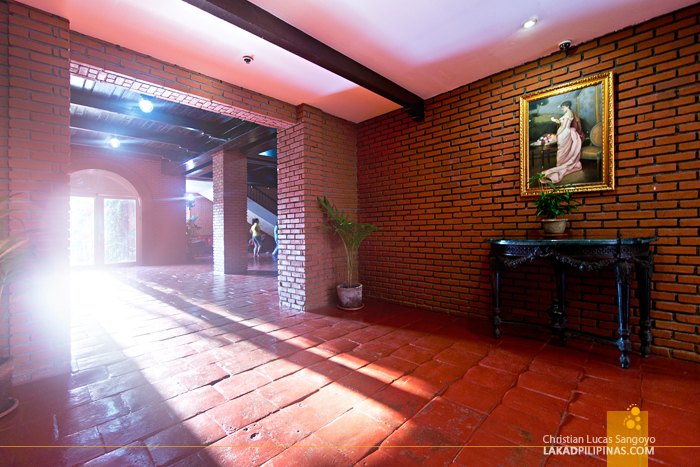 Almost everything exudes the orange glow of bricks; and if you’re not seeing bricks, its either the flat white color of the ceiling (which greatly accentuates the materials near it) or the exposed dark tongue and groove wooden planks of the second floor. 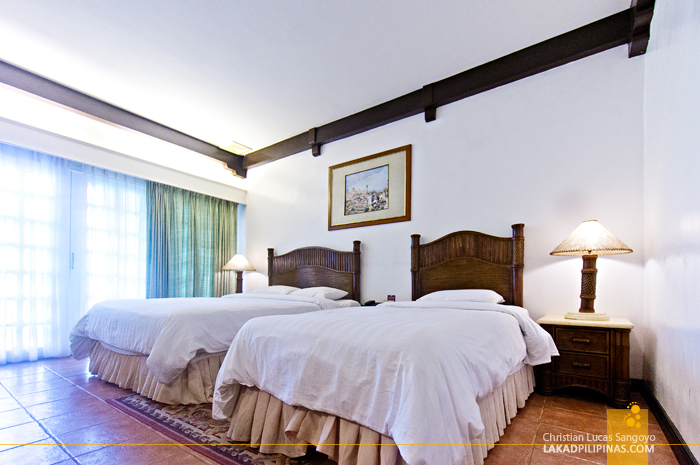 Antique furniture and old-looking paintings are also a nice touch for that colonial period look. After a few minutes, we at last reached our room. I’m unsure if we were given a Standard Room (Php5,600.00) or a Deluxe one (Php9,600.00) since we weren’t really the ones who booked them (courtesy of SEAIR, thank you very much!). They both looks a bit the same in pictures, except for the verandah. Well, we do have a nice verandah that looks out to the central lawn and swimming pool, so I guess it’s the Deluxe one we have (which is too expensive for my backpacking wallet). Well, this is after all a five-star hotel. 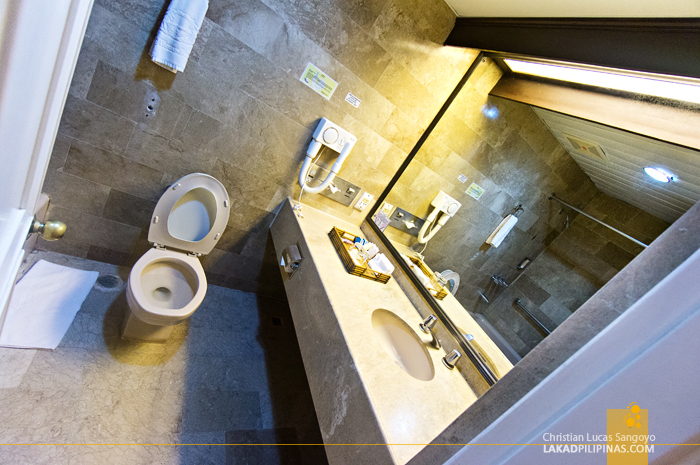 And besides the nice-looking room, we also got a fully equipped toilet and bath complete with a bathtub. Not that I have the time to sit luxuriously in the tub though. To be honest, it looks a bit dated, but everything is clean and working as expected. Dinner was held near the fountain area. 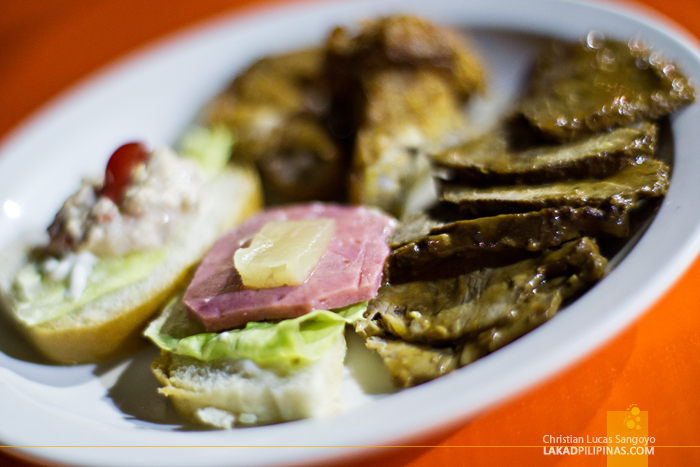 It was an outdoor buffet consisting of mostly western dishes (dare I ask where the bagnet is!?) and I guess is considered An Event, so the central fountain was turned on. Unfortunately, I was too doggone tired from our raunchy ride at Paoay’s Sand Dunes, I forgot to take a photo of the famous fountain. 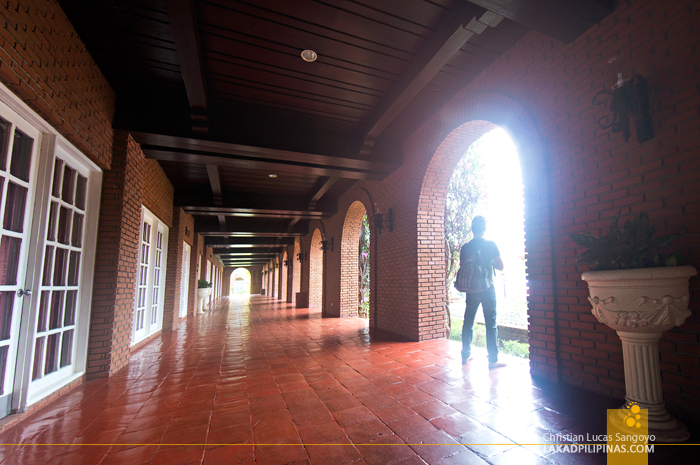 A well-traveled friend advised us about ghosts haunting some of the rooms of Fort Ilocandia. 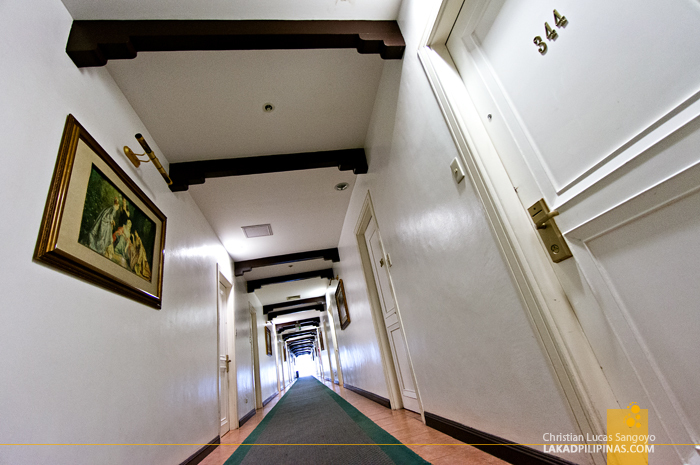 I’m not sure if he’s just pulling our leg, but it does get creepy walking the corridors alone at night. To be fair to the hotel, everything is well-lit; it’s really just my over-imaginative and paranoid brain taking over. But I’m happy to report that there was no need for the Ghostbusters that night and morning shone brightly the next day. There was nothing on itinerary today but to simply hang and let loose. I’m thinking of trying out the pool, or may the beach. But first thing first, I needed my breakfast. My diet went on hold as I saw a tray-ful of Ilocos longanisa. Okay, I forgive you guys for not including bagnet in the buffet last night. It was the only local fare on the table, but no matter, I can live off these longanisas for an indefinite amount of years. With renewed energy from the sausages, I braved the heat of the midmorning sun and ventured toward the beach. Since the water is already part of the South China Sea (or Luzon Sea if you’re a patriot), a set of warning levels are posted near the entrance; green for calm waters, yellow for moderate waves and red for strong waves. Swimming is allowed only on the green level. My keycard wasn’t working as I got back to my room. It seemed that these are time sensitive and it means that my stay at Fort Ilocandia was over (too soon!). 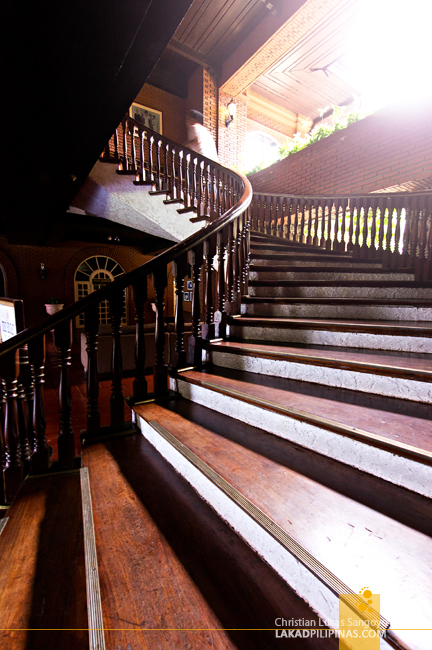 But before I gave my room key up, I took a snap of another of the hotel’s more famous photo stops, its grand stairway, and lunched on some more non-Ilocano dishes. Now I’m ready to leave Fort Ilocandia. loved the grandeur of the place. i just wish you closed down the bin on that throne LOL! time-sensitive card? that's progressive.